A girl enjoys the pleasures of winter, catching snowflakes on her tongue, watching the snow fall and going out to play in the wonderful white stuff with her dog. There are snowmen to create and skating and sledding expeditions to be enjoyed. As the little girl enjoys her winter playground she remembers that there are creatures all around her sleeping in their winter burrows, caves, and under the ice of the pond. There are also the creatures that she sees; the deer, the squirrels and the birds. This is a world which she loves and through her eyes we can appreciate its special-ness and its beauty. 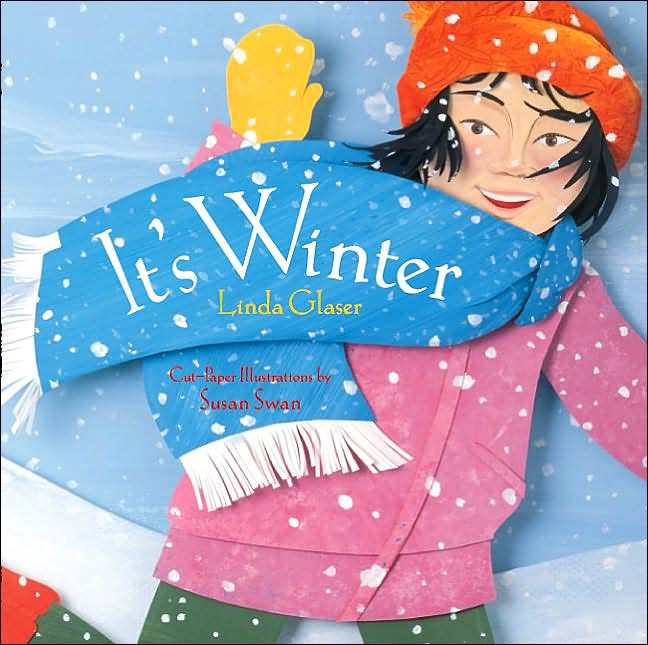 Linda Glaser has created book which captures the joys of winter with a very simple text which is perfectly complimented by the remarkable three-dimensional paper art. Susan Swan takes this wonderful art form to new heights and shows us that anything can be possible with a little paper and a large creative spirit. In the back of the book the reader will find a list of "Nature Activities to Do When It’s Winter," a short biography of the author, and a description of how the author creates her pictures.